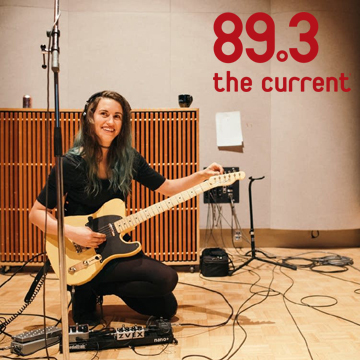 The Current in Minneapolis chats with Cecelia from Tabah ahead of the band's two hometown shows this weekend at Turf Club and Triple Rock Social Club! “Gritty and clean, rock and folk, and overwhelmingly authentic in their embrace of music’s range of emotions and colors. ” Check out the video for "Noble" by Tabah over at Atwood Magazine! Tabah visited hometown community radio station 89.3 The Current for an in-studio session last week. With its debut album Symmetry Somewhere is just out, the band will play a trio of hometown shows starting tonight at Triple Rock Social Club, Wednesday at Bunkers Music Bar & Grill, and Thursday at Reverie Cafe + Bar. She Shreds, the world’s only print publication dedicated to women guitarists and bassists, premieres the music video for "Lucid State" by Tabah today! Tabah played a sold-out hometown show at the Turf Club in St. Paul on Saturday, playing the upcoming album Symmetry Somewhere in full. The Current was there and got some incredible photos. "Curtain Call" by Tabah is MAGNET Magazine's MP3 At 3PM! They call the song "beautiful and spacious," and I agree. Tabah plays a record release show at the Turf Club in St. Paul tonight!